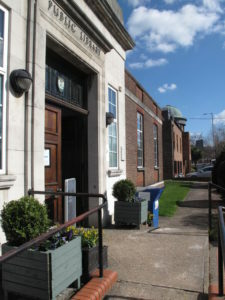 In 2016 Barnet’s library service underwent a restructure and the NW7hub had the opportunity to bid for a 10 year contract to run Mill Hill Library. As this was due to be part of the new community hub in Daws Lane , we felt it important to bid. We were successful and took over the day to day running of the library in April 2017. It has been a busy few months, learning to deliver library services, getting to know our customers and developing new community activities to expand and compliment the library offering. Baby and Toddler Toys and Tales and Active Generation (over 50’s) groups, a Macmillan Cancer charity fundraising tea, visit by award winning author Vaseem Khan and Saturday story time are just some of initiatives on offer. In addition we have been networking with our community, offering conversation cafe for those for whom English is not their first language, offering space for children who are home tutored or not currently in school, providing space for lunchtime meditation classes and delivering a weekly coffee morning for adults. The NW7 Hub team took over the day to day operation of Mill Hill Library in April 2017. 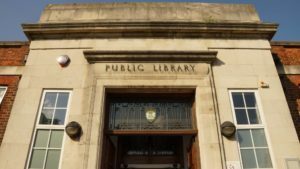 Working in partnership with Barnet Council we view the library as an exciting opportunity to not only secure a much loved and valued service for the residents of Mill Hill but to be able to develop in tandem the wider vision we have for the NW7 Hub in Daws Lane. Combined they are an innovative development for the library service and the creation of a new and vibrant community facility to meet identified local needs. Whilst the NW7hub are responsible for the day to day running of the library Barnet Council continue to provide all the core services, including books, study resources, information provision, access to PCs, wifi and digital services. The NW7hub team receive training and ongoing support from the council’s Library Community Engagement Officers.